Just for the record, I'm not trying to kill a sasquatch. I'm not a hunter and don't even own a gun. Besides, I would probably be a bigger danger to myself than any deer. While a type specimen might someday be collected by violent means, it won't be me that shoots it. Bigfoots are too smart, too sentient, and too much like us for me to even think about killing one. It just seems wrong to me on a moral level. I respect the 'squatch, and hope that you do too. If I were to try and kill one, this is how I'd do it. No weapons, no hiding... Out in the open, mono a mono. 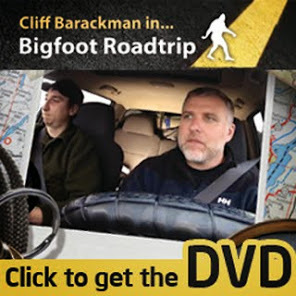 "I'd pay 20 bucks to watch a sasquatch wrap you around a tree :0)"
Those who know me well realize this is the way I'd like to depart this earth... One has to be willing to give it all! I'd pay a lot more than $20 though. Thinking about it, I already have!